The history of public services - telephone, electricity, and water - which changed the lives of the citizens of Concord, can be traced back to the late 1800s. 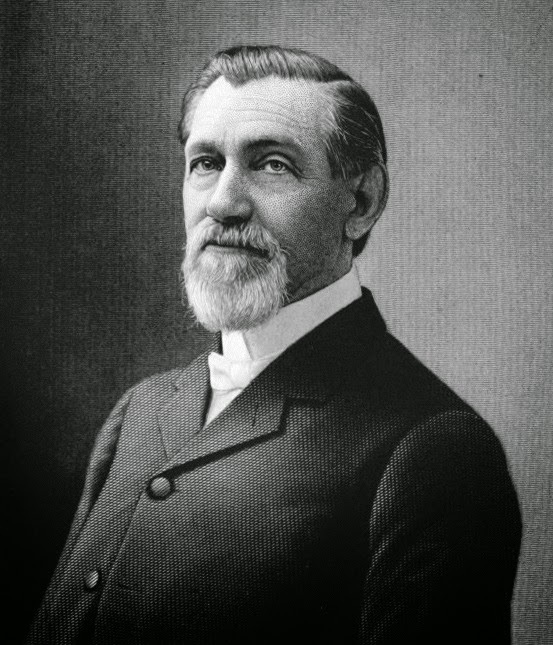 On February 16, 1889, the Concord Board of Commissioners approved J. M. Odell's proposition to light the town of Concord and awarded him a twenty-year contract to provide such services. A special meeting was then called on February 18, 1889 where the formal agreement was entered into by the commissioners and J. M. Odell. According to the agreement between Mr. Odell and the commissioners, the street lights would burn during the night hours, seven days a week with the exception of moonlit nights when the lamps would not be lit. In addition, the necessary equipment to supply electricity to homes, churches, and businesses would also be put into place. The power for the dynamos to produce the electricity was to be supplied by the Odell factory engine. "This is just another very important step forward in the progress for which Concord is becoming justly noted," declares the writer for Concord's local paper, The Standard. was also president of the Concord Electric Light Company. Due to inclement weather during the beginning of April, there were delays in the actual lighting of the streets and homes. The first mention of lights in Concord occurred on Saturday, April 20, 1889, when the St. Cloud Hotel was lit with electricity, according to The Standard on April 26. On May 10, The Times reported that all of the churches would be lit with electricity. "The Presbyterian has it, the wires are up in the Lutheran and nearly in place in the Methodist church." Street lights were later to come with the first mention appearing in The Standard on Friday, June 7, 1889. The company began with 75 street lights of 20 candlepower each. The local section of the paper reported that the arc light in front of the St. Cloud Hotel was a beauty. The writer proclaimed, "it was almost as light as day." A local resident of Concord who was a student was asked what he thought of the new electric lights. His response was that "they relieve me of the annoyance of bugs and candle flies." The Concord Electric Light Company continued to progress, providing more customers and businesses with electricity until March 14, 1904 when the City of Concord purchased the company from J. M. Odell and the other stockholders. Cabarrus has the nation's highest concentration of people named Love -- eight times more per capita than the national average -- according to a Valentine's-week study by a San Diego marketing research firm. York, Union, Gaston and Mecklenburg counties aren't far behind Cabarrus, making ours the nation's Love-liest region. Look in Charlotte-area phone books, and you'll find dozens of people with the amorous appellation. People like Betsy Love, a Concord interior designer, who kept her maiden name upon marriage rather than lose her Love. Or Rock Hill jeweler Allison Love, who sends out her business mail with the U.S. "Love" stamp. She answers her shop's telephone "Allison Love's Fine Jewelry." Callers respond, "So do I." The Claritas demographers tossed around several mushy monikers -- Romeo, Casanova, Cupid -- in their search for Loves. They tried Lust, too. But even where Lust is popular (first place: Oneida County, N.Y.), Love prevailed. 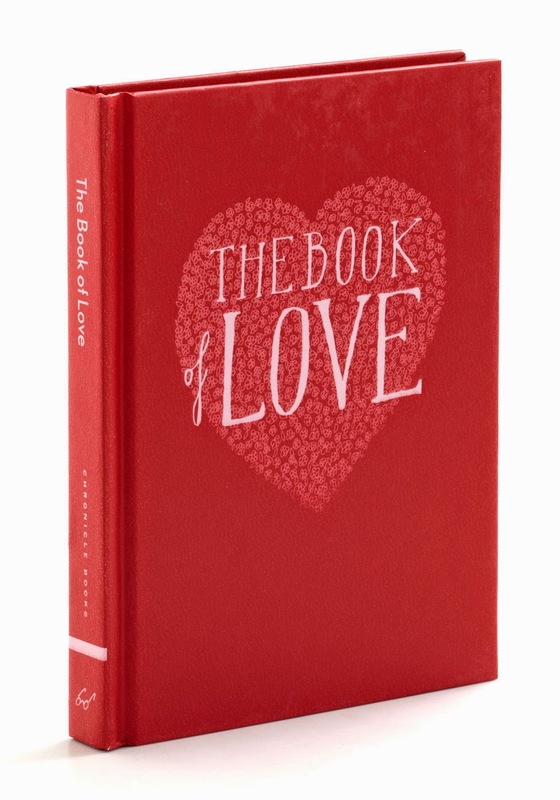 In case you were wondering, it was James Lee Love who wrote the book of Love. Actually, it's more of a pamphlet. It maps the history of the Robert Calvin Grier Love family, which moved to South Carolina around 1766 as part of the wave of Scots-Irish immigrants to the Carolinas. In the history, James Lee Love wrote that the Love handle is an ancient surname of Saxon origin; its early form was "Lufu," meaning "a dear one." Although the Charlotte region has, comparatively, a whole lot of Love, the surname accounts for only a small part of the population. But demographers say no name does much more -- not even Smith, the most popular, which in 1990 identified only slightly more than 1 percent of U.S. residents. Clementeene Love Glover of Gastonia, whose father's family used to have frequent reunions (Love-fests? ), said her maiden name is telling: "I'm just a friendly, happy-go-lucky person. I love my family and I love people." "It's a beautiful name, Love," she said. "It's a way of life." There may be plenty of Love to go around, but after nearly a page of Loves in the Cabarrus phone book, there's only one man without: Richard Loveless, who assures us he's not lonely. "I've got a lot of family here," he said. "It just happens to be sisters." One such member of the Cabarrus Love family was the Reverend James Love, who was born in Brunswick County, Virginia in 1745. James was the son of James Love and Elizabeth Crook. He married Mary Elizabeth Ingram in 1770. They eventually made their way to North Carolina. He later married Elizabeth Black in 1777 and then Esther Bell Carraker on 13 Jul 1813 in Cabarrus County. James was a preacher at old Mt. Moriah Methodist Church, about two miles southwest of Stanfield, where old Cedar Hill School was later built. In 1799, a large gold nugget was discovered on land owned by James' neighbor, John Reed. When Reed realized what he had, he formed a partnership with James Love, Frederick Kizer and Martin Phifer, Jr. to develop a gold mine. After crops were planted and the stream dried up in late summer, each of the three supplied equipment and two slaves to dig for gold in the creek bed. Before the end of the season, one of the slaves unearthed a 28-pound nugget. The Loves and the Reeds became family when Henry Reed, the first child of John Reed married Patsy Love, daughter of Rev. James Love on November 9, 1805. DIED In Cabarrus county, on Sunday morning, the 15th of April, the Rev. James Love, in the 76th year of his age. Mr. Love belonged to that denomination of Christians called Anti-pedo-Baptists. He was a true Whig in the Revolutionary War. Dr. Fredrick Watkins, date unknown. Photo courtesy Bernard Davis, Jr./ Harold Watkins, Sr.
Cabarrus County has a rich history of African American achievement. 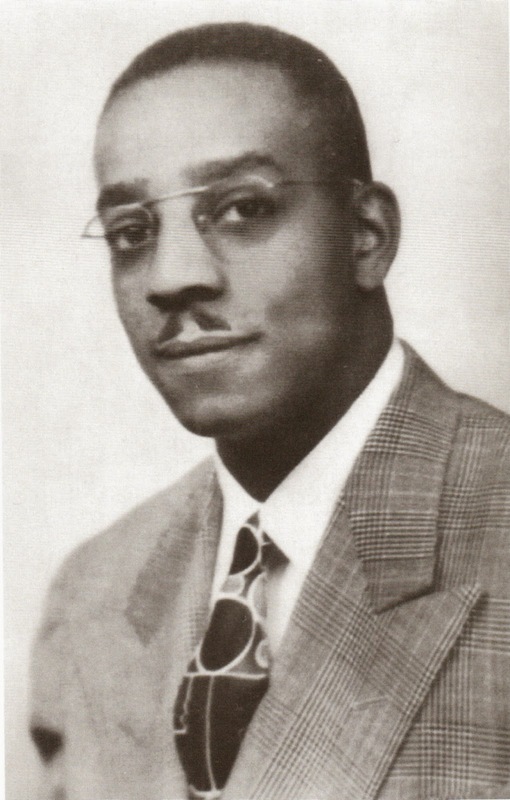 It is hard to imagine that a child of color born into a slave culture would have the fortitude to break through ethnic barriers and rise to become a respected doctor and a pillar of the community; but that is just what Fredrick Watkins did. Dr. Watkins was the first African American doctor in Concord, working as a general practitioner from about 1900 until his death in 1925. Fredrick Henry Watkins was born on April 18, 1860 in Rockingham, North Carolina. He eventually moved to Concord and married Mary Lytle, a graduate of Barber-Scotia College Seminary and a fifth-grade teacher at the former Logan High School. Dr. Watkins graduated from Shaw University Medical School in Raleigh in 1906. Fredrick and Mary had eight children. They lived on Crowell Street, above Barber-Scotia College Infirmary, and eventually moved to 211 Tournament Drive, where the home still exists. Dr. Watkins moved his practice to this home after maintaining offices in downtown Concord and on Corbin Street. Dr. Watkins regularly cared for more than 50 white and black patients in the area. In an Independent Tribune interview dated June 29, 2003, Watkin's son Harold said that his father did face resentment from some members of the community,"My father said things in a matter-of-fact way. He talked to everybody the same way. Some people resented that and wanted him to be more subservient." Harold said that seeing his father carry out his work with dignity inspired him and other young people. Harold further described his father as a person who was devoted to his patients and respected by his colleagues. Dr. Watkins also was a strict father, but devoted to his children. Sadly, Harold was still a child when his father died on April 15, 1925, just a few days before his 65th birthday. Fredrick and Mary Watkins are buried at Old Campground Cemetery, the largest and oldest privately owned cemetery in Cabarrus County, and local African American history site. They are in good company as it also is the final resting place of other such notables as entrepreneur and mill owner Warren C. Coleman and educator Rev. Frank T. Logan. Dr. Watkins is profiled in the books Portraits of the African-American Experience in Concord-Cabarrus, North Carolina 1860-2008, by Bernard Davis, Jr. and Legendary Locals of Concord, by Michael Eury. Both are available through the Cabarrus County Libraries.